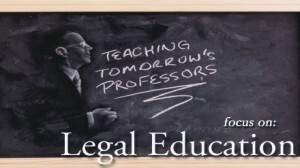 What should a law school teach? Should it concentrate on preparing law graduates who know the substantive and procedural law thoroughly and so are well equipped to fight their clients' causes? Should it concentrate on the philosophy of justice and law? Should its curriculum include non-legal courses? How should the law students be evaluated? Should a law school and its academics have close links with the legal profession? What facilities should a law school offer to its students? These are vital and recurring questions for legal education of any country. In this brief essay, I will seek to address these questions in the contexts of law schools of Bangladesh. Brevity in dealing with these pressing and complex questions, of course, entails gross generalisation and over-simplification. However, my purpose here is to give an overview of the broader picture of our legal education and (hopefully) to stimulate a debate. Legal education is changing. Gone are the days when law schools were almost entirely designed to train lawyers. It is true that they continue to train tomorrow's lawyers, but that role is now, I would claim, one of their principal objectives, not 'the principal objective' any longer. Such a trend would be evident by even a cursory survey of the titles of the degrees awarded by the global leading law schools in all continents. A trend of awarding dual degrees, for example, Bachelor of Law and Business; Law and Arts; Law and History, Law and Economics, is developing. Accordingly, a number of non-legal courses regularly feature in undergraduate curriculum. This shift of the structure of legal curriculum is arguably the result of a strong demand for persons with law degrees in a number of sectors. Core legal courses mandatory for entry into the bar will obviously continue to form the bulk of legal curriculum, but in my view, it is imperative for law schools in our country to include a few courses which are essentially non-legal. Such a widening scope of legal curriculum would serve a dual purpose. It could broaden the vision of those students who want to be in the legal profession. Knowledge of history, political science and economics etc. can sharpen legal minds. More importantly, it would be of immense value for those students whose primary interest is indeed law as a subject, but nevertheless 'legal profession' is not the intended calling. For instance, an ideal legal academic would be expected to teach law critically that is not just what the law is but also why it is so and what it could be. Such a critical understanding of law presupposes good grasp of legal philosophy and wider understanding of social sciences. Similarly, judges in higher courts, in their tasks of interpreting the law, may have to confront policy questions as the fact the black letter law may not provide a clear cut answer in all cases. There is likelihood that judges with greater knowledge of the social sciences and other extra-legal disciplines than those with mere substantive and procedural law would do a better job in such cases. Secondly, a broader curriculum could open up the law schools to those students for whom law is not the main discipline of interest but who nevertheless seek some degree of legal expertise. Students of commerce, medical science already gain some degree of legal training but broadening the law schools' curricula could make this learning more meaningful. A fundamental flaw of our legal education lies in the evaluation process of students. Students are mainly assessed through written and in a smaller part, oral examinations. Examination papers of law schools in Bangladesh, barring very few exceptions, consist of descriptive questions warranting long descriptive answers. Questions of descriptive nature, if properly framed, can test the grasp of the respective subject as well as writing skill of students. However, whether and to what extent this happens in our law schools is dubious, as descriptive questions often follow a repetitive pattern and can generally be answered by memorising beforehand. Dismally, a great deal of memorising can guarantee success in such written exams. It is puzzling to comprehend the underlying rationale of such memory based examination process in a discipline where success in real life inevitably requires critical thinking and understanding. The focus of examination papers should be problem based which would force students to think independently and critically. There is very little emphasis on the art of writing- either professional legal writing or academic legal writing. Those few cases where students are required to write, they are inadequately supervised. They are hardly given any substantial training on methods of legal research and writing. Mooting, though has started in recent years, is not yet done to a sufficient degree. All the schools of public universities have their own law journals but, these journals barely involve students and rarely publish works of students. In my view, this lack of students' works reflects the poor state of academic training and support that they receive in the realm of academic writing. If students are assimilated in the editorial process in some form or the other, that can be of immense importance to them. The editorial boards consist of almost entirely academics of our country, generally of the law school publishing the journal. The works that appear in the journals also roughly exclusively feature works of the academics of public universities. While these things in by themselves say nothing of the quality of the journals or works appearing in them, more external involvement would surely enhance the credibility and reputation of the journals. Almost every law school in the economically advanced countries, these days, provides its students with access to large commercial databases that contain both primary and secondary legal materials. For a least developed country like ours, facilities like that is impracticable but preparing a database containing links to freely available resources and a compilation of the primary and secondary legal materials of Bangladesh is probably not out of reach. Indeed, the benefits of such a database can be more than harnessing the skills of our students and academia, as it can give up to date legal information of Bangladesh to any entity that would need so. Moreover, the law schools should strive for improving the information technology skills of our students and expose them to open source databases such as Social Science Research Network and Legal Scholarship Network. Such exposure can open the door of a huge knowledge resource for students which our law schools cannot otherwise afford by subscribing to commercial databases for costs which is exorbitantly high for them. There is a disconcerting gap between the academia and legal profession in Bangladesh. This is perhaps inevitable as academics in our country are barred from practicing law. In this regard the relevant provision of law reads, “An Advocate should not as a general rule carry on any other profession or business, or be an active partner in or a salaried official or servant in connection with any such profession or business." (Clause 8, Chapter IV, Bangladesh Bar Council Canons of Professional Conduct and Etiquette). The use of the terms 'should' and 'as a general rule' raises a question as to the binding nature of the norm. Nonetheless, academics in law schools despite having bachelor degrees in law and being enrolled in the bar are believed to be barred from practicing law in the courts as soon as they take up the their academic posts in public universities. While the prohibition is easily understood, its rationale is a conundrum. This prohibition is standing in the way of any academic who wants to gain the experience of the real court room. This is not just hurting the academics themselves but surely depriving their students too. On the other hand, the members of the bar and bench should feature in different events of the law schools on a more a regular basis. Members of the judiciary and distinguished lawyers could be invited as guest speakers in law schools and share their professional insight with students. Students would surely be inspired by these events and in few cases may well be able to establish links with the legal profession at an early stage. The issues noted in this essay and suggestions made herein would in few cases require resources for implementation which may not be immediately feasible to be spent. However, most of the recommendations made here can be implemented by administrators of law schools with no or little extra resources. More than resources, indeed it is the dedication, bold vision and passion for students' cause on the part of the university grants commission, the bar and the academia that can reinvigorate our outdated legal education. The writer is PhD Scholar, Division of Law, Macquarie University, Sydney, Australia.